What advice is truly useful and what has overstayed its welcome? Our panel from NTC will help you separate myth from reality in video; thank you’s; mobile; virality; press relations; and more. Advice comes from Melissa Ryan at Trilogy Interactive, Kari Birdseye at WildAid, and Burt Edwards with InterAction. Hello and welcome to tony martignetti non-profit radio big non-profit ideas for the other ninety five percent. I’m your aptly named host with the breaking cracking fourteen year old voice. Did you hear that? But i’m still glad you’re with me. I’d go into a wreath is, um, if you irritated me by missing today’s show design on a budget component based design will help you whether you’re working with a consultant or designing in house, our panel talks through the process from site map to camps they are oliver seldman with advomatic leah kopperman at the jewish education project and jessica teal of teal media. This was recorded at the twenty sixteen non-profit technology conference and communications mythbusters. What advice is truly useful and what has overstayed its welcome, our panel also from ntcdinosaur will help you separate myth from reality in video thank you’s, mobile virality press relations and mohr the advice comes from melissa ryan at trilogy interactive, carrie birdseye at wild aid and burt edwards with interaction on tony’s take two don’t be in the woods on planned e-giving we’re sponsored by pursuant full service fund-raising data driven and technology enabled, you’ll raise more money pursuant. Dot com and by we be spelling super cool spelling bee fundraisers, we be spelling dot com here’s, our first panel from ntcdinosaur with design on a budget welcome to tony martignetti non-profit radio coverage of sixteen ntc non-profit technology conference. This interview is also a part of ntc conversations wrapping up our coverage on day two. We’re in san jose, california, at the san jose convention center and with me are oliver seldman, leah kopperman and jessica teal. We’ll meet them very shortly. Talk about their topic design on a budget first, i have to do the obligatory swag swag mentioned shoutout for this for this interview, which is from m d they do wordpress droop elin sales force. You see it’s a pen that’s also a very, very sturdy suction cup holder for the pen. And we have a what we call this our ever know bourelly also there bobblehead what troll now it’s, a combination bubblehead troll doll with very thin thinning orange and white hair. I implore you, if you’re only on the audio feed, please go to real tony martignetti dot com. You can turn it off after the first one minute twenty seconds and you’ll get the benefit of this, but you won’t get the benefit of our panel. Yeah, please stay for that, you’re sure. But if you only want to see the bobblehead troll doll, you could turn it off after one twenty. All right, so we’re gonna add this to the day two swag collection. Not too elegantly. I’m gonna add it. Thie bubblehead troll dollars now horizontal. Okay, design on a budget. Let’s, meet our panel. Oliver seldman is technical lead for advomatic llc. Leah kopperman in the center is analytics and digital director for the jewish education project. Jessica teal is teal media. She is co founder, founder, co founder and ceo. Executive director. Yeah. Everything all right. Hr as well. Right. Welcome. Welcome to non-profit radio. Thank you. All right. Design on a budget. Jessica let’s. Start with the teal media. Sure. We do not have to spend a lot of money. Tohave elegant, meaningful, impactful design. I would say that it’s more of a wise use of your money in terms of design. Buy-in all right, so how did i what did i miss state then what do you mean, it’s? More about how you approach the design. Our entire panel was about a new approach to design, which is component based design. Kind of trying to stop the old way of doing things which was static individual pages and kind of stopped that way of thinking and move to more of a component based approach. A component being little chunks of information that can be grouped together. On a page and then you bring in the individual components to form your website experience. Okay, all right, so we’re talking about website design the worst okay website design little little chunks of of content, and these can be repurposed and maneuvered. And okay, leah, help me understand more about this. This component based design absolutely three of you have been thinking about this for months leading up to a ninety minute presentation, and i’m only in my first three minutes and twenty seconds. So bring me along and it could be, i think, a little abstract toe understand at first. But in the more traditional design process, you get sort of to a phase where the designer has designed out on paper, using photo shop or some other design tool. What the website is going to look like a right and then that goes to the developer, and they build that and there’s this long period of time between the design that you saw and then the build out and what you get, and they always look different, because print design and web design are not the same thing. And so when something’s just designed in print and then you see it on the web, there’s always ah, hold up where you get the delivery herbal and your stakeholders see it and say, that doesn’t look like that looked, and we don’t see what we expected to see. And so you get sort of surprised and held up, and lots of little things need to be fixed before you can move forward in the component based design process. You get it. You do get some pages concept of what it’s gonna look like. But instead of having this long lag period between the getting the design and building the design, what you get is a design that’s like the overall mood and look of the site, and then it actually starts to get built in html in prototyping, using that look and feel, and then the the deliver ball comes to you, that is, say, just a form and you get the form and you get that tow look like you wanted and it’s being delivered to in html, so it looks like it’s really going toe look instead of what it looked like on paper, and if you don’t like something about the form, that doesn’t mean you can’t keep moving forward with what does the header of the page look like? What does the men you look like? What did the button look like? What does the you know? The subheading text look like verses. This page is no good. This doesn’t. This page doesn’t look like what i was expecting. So you build all these individual components? Each one is a small delivery ble. You can get them to look like you want them to look. And then the beauty is when they all get put together they can be re combined and like almost infinite ways. And so the content people who are working with it don’t have to think about so much like oh, should this be green here? Should this be blue? Here it is mohr that they can just okay, i need a video block here. I need a header here. I need a sub header here. I need a text block and you can. They could just take all those blocks and put it on the page and put the content and they want and they don’t have to worry about making sure it’s going to be formatted correctly. Okay? Okay, oliver, are the three of you anarchists in the design world? Why are you causing trouble? I don’t think it’s causing trouble i mean, we we’ve we’ve used this approach for for big budget projects as well, i mean, it’s not it’s, not just about trying to disrupt something or to get things cheaper. The the the ideas here are beneficial, even on very large projects. One of the main pieces of this puzzle is building this component library, which which s so it’s, the entire style guide of the site and all of the components exist in a living library. So as you go through and make new additions or changes, you’re maintaining this consistent, readily available and reference oppcoll library of your styles and your components, and so you can always make sure that even i mean from the beginning, but also through the life cycle of the project that they’re all they all remain consistent with one another. A change you make six months down the road doesn’t break some other component. It allows you, teo, maintain a consistency and, you know, kind of build up your site and in fact, the functionality around on building. Pages like thinking of these components as like lego building blocks where you build the key essential pieces, but in a way that they all fit together gives sight builders and content creators quite a bit of flexibility when the time comes to build a page, because they can grab this component and grab that component, and they actually can put together completely different looking pages by combining the different components. So part of the way that we save money is you can limit the layouts, but but then the content creators can actually customize their their page builds on a page by page basis. So, you know, you design a layout that can accommodate a sidebar and a bunch of different chunks of content stacked on one another, and then they kind of piece it together, like pulling components from here and there and your lego metaphor? 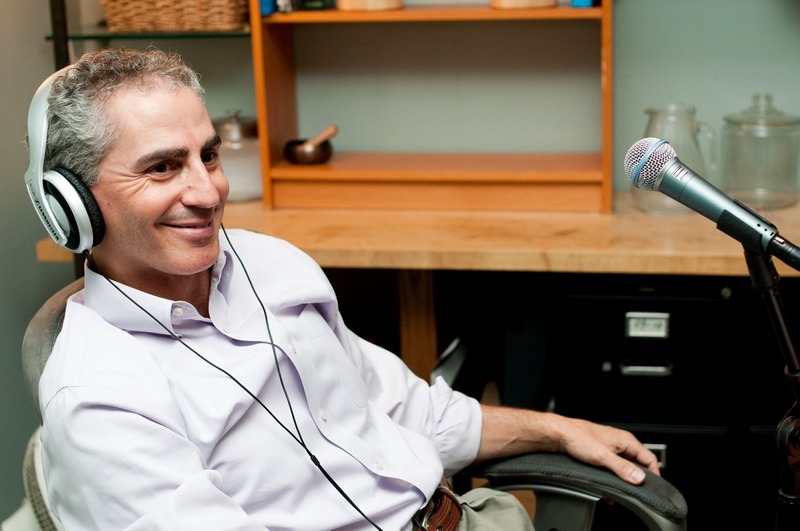 Yeah, all right, all right, you’re tuned to non-profit radio tony martignetti also hosts the podcast for the chronicle of philanthropy fund-raising fundamentals is a quick ten minute burst of fund-raising insights published once a month. Tony’s guests are expert in crowdfunding, mobile giving event fund-raising direct mail and donor cultivation really? All the fund-raising issues that make you wonder, am i doing this right? Is there a better way there is? Find the fund-raising fundamentals archive it. Tony martignetti dot com that’s marketmesuite n e t t i remember there’s, a g before the end, thousands of listeners have subscribed on itunes. You can also learn maura, the chronicle website, philanthropy dot com fund-raising fundamentals, the better way. Dahna so we’re here to learn this component design process, okay, now i’m a non designer, the only non designer on the panel, i presume i’m not. I’m not way have only on one representative. Lee is the only thing she’s the outlier not made alright, i mean, just sorry, jessica, not me, all right dahna where should we start with my our instruction? Well, the two of you have already learned it, even though so my instruction in this of this new process where we where do we begin? Sure, you need to start with some careful planning on that would be, of course, perhaps the client sitting down with the consultant working through all of the various content chunks on the website to determine what that inventory of possible components might be, and kind of doing a lot of preplanning within your own internal teams just to figure out what you’re going to need what’s going to be my key functionality? What? What are going to be my key features? And then working with your your way web design and development partner through the first delivery bubble, which is a site map, which is an organizational diagram of how that site is organized that will show page hierarchy how maybe pages might link together. We also start to get a sense of where can we? We reuse page templates and similar layouts and kind of nail that down everything’s going to be organic throughout this process were constantly learning as we go, but once we kind of feel pretty solid about that site map, then we go into what’s called the wireframe ing process, so think of wireframes those blueprints, they’ll be black and white line drawings that show how a page is laid out, approximately where the content little blocks will go, where the components will go. And as we begin to plan out, those page templates will also be able to see repeating patterns and places where we khun re use these little chunks or components of information, by the way. Jessica it’s very good that you explain what a wireframe is because okay, on tony martignetti non-profit radio, we have george in jail. Oh, didn’t even i didn’t have time to put you in your excellent work. You just walked past the jail. Well, even even notice notice you’re walking past a penitentiary, i mean the purpose of our discussion as well to we wanted to make sure we helped to find some of these. Concert. Yes. Okay. Excellent. Excellent. From wireframe leo, do you want to take it from wireframe? Sure. So once you get past the wireframe phase, which again is sort of abstract, you get a concept of what the site might look like, how things are going to fit together on various like what the pieces are, but it’s black and white it’s like it’s, like name or a skeleton it’s. Almost like thinking of like, a napkin sketch, right? I mean it’s a little more developed than a napkin sketch. But it’s really? Just like what? This could potentially look like that the that there’s going to be a hero across the top, that there will be the block column on the side. There was a video here, o o c i just got in georgia jargon. Jorgen, what the heck is a hero? Ah, the hero is you’ll see this on a lot of sites. It’s ah, large image across the top. That is a very visually striking. And that creates ah, sort of tone for the page. Often they also will rotate images, but there there will be maybe text across it. It’s it’s tries to sort of set the whole feeling of the page through a through some type of image. A photograph. Okay, okay. All right. Good. So, yes, you’ll know the location of the hero, but you won’t know what the hero is going to be. Not at all. Not at all. It will just be like it’ll say hero that, you know, okay. And and then there will be a a block that’s like black, and it’ll have a little youtube play button in it, and they will say video like, you’ll know that that’s where the video is going to live. But you have no idea what it’s gonna look like. Okay, so you get those you agree how that’s gonna work on and then you move on to the next phase, which is where you get style tiles. And that is where you get a sort of conceptual idea of what the look and feel of the site is going to be. Think of it, sort of like what you might get with an interior designer when you they come to your home. And they have, like, fabric swatches and, like a little piece of, you know, like a photo of ah, wall sconce and, you know, so bored, yeah, mood board and you ah, so you get a few different ones of those for different directions you might take without them having to build out a whole kant visual concept, right? So you get you picked the one that fits you best, or you work with one of them to get it to fit you best, and and then you can move on to the actual designing dahna keep a jj comprehensive design like, like the photo shop type of design, you do do a little bit of that because you do need to have some deliverable to take to your stakeholders and say, okay, this is the direction that we’re going in, but will be, but you’re not goingto take them a design for every single page on the site, you don’t do a comprehensive design for every page on this every primary patient. Exactly, yeah, and pages that require either heavy branding or heavy visuals. So think of your want photo shop cops for like, your home page or a major issue landing pages, but you might not need a full come for like your blogged page, which really is just a list of information that looks is repetitive in a list format that has a photo and a headline in some paragraph text. You don’t need to do a full comp and photo shop for that because you could just drag those components over the headline style, the paragraph style, the photo style in the link. Okay, okay on and then so then you’re now you’re getting feedback from you’re you’re your your client, the whoever’s in charge of this project and in this scenario, i’m the client in charge of the project right there working on the design for me. Yeah. Oliver, what? What was your role? This? I thought you weren’t you’re not a designer. I’m ah technical lead. So i’m just i’m doing the development building. Oh, you’re building here, just your building, just building building design. Eso just just point out a couple things. So in terms of like the title of this session the budget element of it on the benefit of the style guide i’m sorry the style tiles is thatyou khun uk rather than focusing on redesign coming up a five or six different designs or three or three designs for the site, you can actually do in the in the same prices. One design you khun do multiple style tiles so that you can be really thinking about and talking about what, what the site is supposed to feel like and look like with many options on a on a much deeper budget. All right, so just so we’re sort of breaking this all down in tow, component pieces are it was called the component based design problem, so you’re so instead of us having to conceptualize and approve or disapprove an entire pages and maybe an entire site that may not be quite right, but yeah, big, big pieces, yeah, we could take a little pieces and say, you know, i don’t really like this hero, you know, you should wear a quick study, i don’t like that here or there don’t really belong there, but we can talk about other things that are cool, like the donation, the format of donation, the button and the forms and landing pages, etcetera. Okay, yeah. Breaking into chunks, in fact, measurable chunks. During the dirt at the next phase, after these, you know, these these delivery bals are are approved is to actually start building out the prototypes of these components right component, which can actually happen quite apart from the back and development, quite apart from all the other phases of the project. These these things can all because they’re modular, they can all be happening in conjunction with one another. And, you know, to to your point, one of the major benefits is that you can actually start delivering versions of these prototypes, the donation button, the hero, whatever way, before someone would ever expect to see a page and so you can really get the client can really feel empowered to affect the overall process of the site and also just gets incremental reassurance things you’re moving. Oh, i’ve approved the donate button. That’s cool. We got it covered, right? I proved the donation form that things are moving along very nicely. Verses got this project is never going anywhere. Well, i get his designs that i can’t stand or then that two months go by or three months go by and then you just kind of get handed. The whole thing, and then you’re that’s when, like the worry begins or you you encounter stakeholders who didn’t quite get something from a piece of paper before now seeing it in real life for the first time, whereas in this in this process there, seeing it in real life from the very incrementally and when they see it in that older way for the first time it’s already completely built, and then you have to spend mohr labor ongoing and rebuilding stuff that and when your prototyping it in html you, khun, do a lot more of the build, and not have to rebuild on a bigger scale later on. So that’s, another money saver what’s the genesis of a component based design. Who created it? Was it one of the three of you? You know, it wasn’t e i thought that maybe you, jessica, there was not. I don’t know the genesis of it, though i have a feeling it may be developed out of the agile design and development process. Julie again, we’re programming pieces and right i know about and, you know, taking the approach of let’s create a minimum viable product first of the bare bones that will get you there and meet the criteria that you need for launch. And then as we grow and expand, tested yet learned and pivot and testing exactly and so component recent brain process, yeah, it’s a good match for that, because you’re constantly building on things as you’re learning and it’s better to do that in little chunks versus big pieces. Okay, i think they’re also like multiple many facets of this approach each kind of coming from different disciplines for example, the notion of ah, like a living style guide, it has been ah, semi recent, but ah increasingly adopted technique for managing the look of your site on dso, you know, fitting components into that is just a kind of natural, natural progression. You know, the sum of these things like that we’ve been talking about wireframes and page comes and site maps are have been part of the development. It’s not those elements are nothing new, it’s just the kind of way that we’re combining them for this purpose, that is, that is but it’s tze more of an evolution than somebody coming up with a new thing. Yeah, that’s very good, actually on evolution and i oh, i think lee, amid an awesome point on the panel yesterday in terms of just having an organizational change on don’t know, flee if you wanted to mention talk about it seems to have been retweeted a few times, so i guess people liked the analogy. I was saying that there’s this older organizational mindset, that building a website is like a one time investment like you’re investing in a piece of furniture, like a file cabinet, and really, the mindset needs to change because websites air living and breathing things that need to change along with the organization. So you should really think of your website as more like a program than like a file cabinet. Okay, yeah, this process really allows that flexibility you you end up with, you’re not you’re not locked into something because a new component can be added whenever you have a whole language of a visual language. So it’s very easy to change or add things when the time comes it actually, the process is about kind of thinking about howto refine or no hone the essence of what you need so that you can grow and pivot and change it without without issue major just rocked out are their opponents to this process. Naysayers who prefer toe prefer to do it the old traditional way of designing a website. I mean, i can i can imagine that there might be a client for whom the suspension of disbelief for talking about what is a component and seeing how you know a style tile will lead to a design on dh feels that unless they see everything on every page finalized a visual of it, that they’re unwilling to you, check off the approval checkbox, and that for that, for that person, it may be difficult, or for someone who doesn’t have ah, internal technical advocate s o that there they don’t have anybody on their end advocating for ah process like this, it might be difficult for them to buy into it. Ladies, have you seen objections to this or or heard them yourselves? I wouldn’t i’m sorry, i wouldn’t quite call it objections like oliver was saying, i think there’s a certain level of discomfort with an unfamiliar process and that in the past when people that the folks who are, you know the stakeholders working on. This site rebuild, they’ve been through a site build before, and it’s followed the old process and so that’s what they are used to and changing the process so much feels it’s there’s a i think a fear of making small decisions on signing off on this is the site map. This is the wireframe because there’s a fear that once you approve that wireframe you’re completely stuck with what it’s gonna look like because in the old universe, once you approve what a layout was going to look like, that was the layout you were getting. And in this universe, when you approve something, you still have this flexibility of these components, that you’re going to be able to move around and using different ways. But until you get to the place where it’s more concrete, i think that that that that hesitancy and discomfort with this new process continues to play out. So i think it move some of the anxiety of the project to the front end of the development cycle and as you go through it, that there’s less and less anxiety and by the time you get to the final design people are comfortable with it, and what they get is what they’re expecting to get. Yeah, jessica working with it the whole time, right? Jessica has till media had clients objective, this method of web site design. Like leah said, there hasn’t been objections it’s just been we’ve had to spend extra time educating folks about the process and making them feel comfortable as they go along. So, yeah, i don’t think that there’s any strong opposition it’s just hard with zsystems because the last one wasn’t like this, right? Right, right. Okay, wei have just like, another minute or two together. What do you want to leave people with that we haven’t talked about yet, leo. You’re leaning into the micro? Yeah, there’s one thing that i didn’t talk that none of us talked about that i do want to talk about that’s, another real money saver for the project. The the way that we’re doing this design process is actually with two separate scopes of work. So the first is this design phase where we’ve been talking about getting through to style tiles and during that process, the technical lead oliver is is listening in and participating and understanding what we want. The site to be able to do technically and making a list of all the functional requirements for the site and we have a set budget and we’ll get a scope of work at the end of this cycle that respects that set budget and tells us with this budget we can get these components built on dh this khun b on the maybe we’ll get to it list and this khun b on the you we can do this in the future, but it’s not going to fit within this budget. And so you get a really good prioritization of what really matters and you build like jessica said, the minimum viable product now at least, and you have a sight that you can launch and then you can continue toe add functionality to it once it’s already live? Yeah, that that concept takes into account the world of development, being in perfect and hard to estimate, and you don’t always know how long something takes to build when when the time comes and so it accounts for prioritizing what’s most important on dh then, you know, finding a range of what to accommodate and about as they were. Saying finding a kind of minimal point where we can say this is done, it works the way basically needed tio and then kind of continuing to add to it and okay, how about we leave it there? Thank you. All right. Thank inky advocates are advocates for the component based design process. All right. And they are oliver seldman technical lead. It advomatic llc. Leah kopperman analytics and digital director for the jewish education project, and jessica teal of teal media. 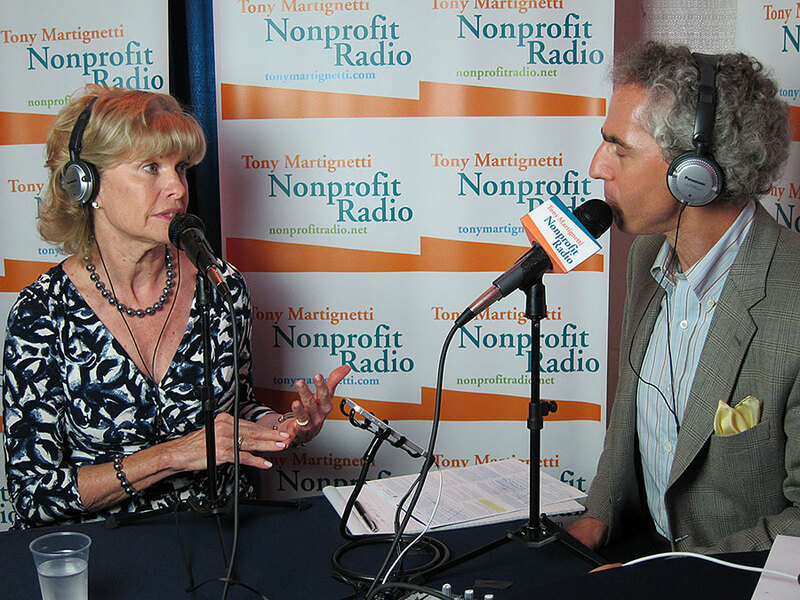 And you are with tony martignetti non-profit radio coverage of ntc teen the nineteen nineteen. The twenty sixteen technical women i’m losing. It was our last last time technology conference. I need to take this in chunks component it’s. Tony martignetti non-profit radio coverage of sixteen ntcdinosaur the non-profit technology conference. Thank you so much for being with us. Thank you. Thanks. Pleasure. Communications mythbusters coming up first, pursuing you know them. You know, these people that you have fund-raising tools for small and midsize shops. I beseech you, i implore you even check them out. You need to raise more money. I know you do. Pursuant has tools to help you. Ideal for our listeners in small. And midsize or eggs? I can’t say it any simpler pursuant dot com and we be spelling spelling bees for non-profit fund-raising this is not your mother’s spelling bee. They incorporate concerts, dancing, comedy and fund-raising and is a spelling bee. They have a very fun, very really pretty hip video at wi be spelling dot com and b is b e we be spelling dot com now, it’s time for tony’s take to i don’t want you to be in the woods ds on plant e-giving it is not a black box, it should not be intimidating to you there’s no need for it to be intimidating there’s a lot that small and midsize non-profits can do to take advantage of these long term, very often endowment building gif ts you have possibilities around plant e-giving and the place that you always start is with requests. I talk about that and also retirement plan gif ts and marketing those and the same with life insurance all in the video at tony martignetti dot com don’t be in the woods on planned e-giving please that’s tony’s take two live listener love it’s got to go out, you know it’s coming. It’s just a matter of when live love to our live listeners from asia and now recently europe has been checking in and of course, the domestic live love goes out as well for those listening right now, which is later than now when i’m talking it’s it’s now, then for those listening now, then later, then now my love to you and the podcast pleasantries. Who knows when you’re listening it’s so much easier to do podcast pleasantries couldn’t have to explain the difference between live and now and then and later the pleasantries go out to the over ten thousand podcast listeners and i am an affiliate am and fm affiliate listeners affections to you let your station know that you’re hearing non-profit radio please affections to our many am and fm affiliate listeners. Here is our next panel from auntie cia, and this is communications mythbusters welcome to tony martignetti non-profit radio coverage of sixteen ntc the non-profit technology conference in san jose, california. This interview is also part of a t c conversations with the convention center in san jose. My guests now are melissa ryan carry birdseye and burt edwards. We’re going to meet them. Very shortly. First have to highlight our rust and ten ntcdinosaur swag item of the of the interview. And this is from jmt consulting. Very nice green your earbuds in a case. Very nice jmt consulting. We had that to our swag pile for today. Would have had a bigger pile. But from yesterday, when it got stolen overnight, who knows? Who knows what happened? It was a good and ten scarf there. There. I mean, i’ve already said the scarf gots carved. All right, let’s, meet let’s. Meet the panel. Melissa ryan. Is it right here? Melissa ryan? Yes, of course. Is director of client services at trilogy interactive she’s seated closest to me. Carrie bird’s eye is us campaigner for wild aid. And burt edwards is director of media and web strategy at interaction. And there seminar topic is communications mythbusters. Best practices versus bad advice. Let’s. Start in the middle. Okay. Um, carrie? Yes? What? What are the why are there so many misconceptions and so much popular wisdom out there about marketing communications? How does that how do these things perpetuate? I think that people like to make money off of telling other people what to dio and so there’s a lot of people in a cottage industry trying to make basically what’s good manners, being a real person and being true to your communications, they they put out, you know, a lot of misinformation around, you know, something that need need not be a difficulty as they make it sound auras? Yeah, right. I’d come stated. Yeah, all right, all right, bert you’re nodding a lot. I am that all right? I’m sorry, bert. I didn’t have your makeup start again. Please. Yeah, actually, this is how the panel first came about our other mythbuster, colin delaney, who is actually in a panel. It was a discussion that he and i were having about what we were hearing he’s now on the consultant side, i work for an ngo called interaction, and we were just talking about some things that we were hearing, and it was like, i don’t know if that really shakes out and that was kind of idea as far as like, putting together a panel of miss busters and to try to get the audience and engaged in a conversation. How are you, melissa? You want teo to? Yeah, i mean i think it’s often like a game of telephone, right? Like you read a case study and you tell me about it and you get very excited. I’m very excited about it. Without seeing the case study, i tell car e about it. And then what it ends up to me is, you know, i hear from a client or a potential client or another consultant. Well, i hear the on ly time that’s where sending an email is thursday at nine. P m s o i actually i approach it with the best of intentions. But i try to think of it it’s like a game of telephone. Okay, okay. And i’m sorry. I mispronouncing names it. Khari khari nufer i answer to both. Well, well, which would you prefer if your name you have a choice. Carry. Oh, i’m so sorry. Oh, she pronounce you mispronounce it it’s my fault. Don’t apologize if you believe this it’s. Unbelievable. All right, i think it’s pretty the way you say it. Curry is pretty. Sounds very exotic. Alright, but carrie ok. All right. I got lucky. I should have asked. Okay, let’s. See? So should we just start with a bunch of myths around communications. Uh, i don’t know. Thank you. Notes have to go out within twenty four hours. Is that a legitimate one? Because you have you have some of the legitimate right? Some or not, thank you. Notes for gift should go out within twenty four hours. True or false myth or myth or fact, i would say that spots is long as the sentiment is genuine. Okay? And and an authentic i mean a canned response that comes out really quick. And it looks like it can response. I don’t think that that really, really get you much with anyone. Okay. You rather seymour? Genuine sincerity. Maybe it’s. Thirty six hours or forty eight hours, but not a week. A week is too long. Is that a myth or fact? I mean, you want to get them the thank you note where they still remember having made the donation the world fuzzy feeling my hat is off to everyone who can get the thank you note out within twenty four hours. But i think it’s a nice toe have not a mustache. Ok. How about the week, though? That seems to me now my voice is cracking, although like a fourteen year old a week. Seems like, you know, you didn’t really care that much. Um, i wrong is a week. Can you burn? Let me challenge you. Can i can? Is it possible to have a really sincere message? A week after the donation? It leaves my office the week after the donation so it might not get to the person till eight, nine, ten days, depending out far away. They are. Is my outside the bounds of propriety in thanking donors. Yeah, i would say that. That’s a bit that’s. A bit long. Okay. Okay. So we could say somewhere between a day in a week. All right, but the panel doesn’t feel it has to be twenty four hours. Okay, it’s. A good goal, right? I mean, it’s, something to strive for. Well, if you’re doing online donations, you should be able to get the thank you out very shortly afterwards, because so much of that is automated, that sort of unless you want to sincere that’s. Too sincere. I mean, automation can certainly personalized. But if you want to sincere, maybe a hand written note. Last panel was talking about handwritten notes. How was that small organization? Yeah, or a very big gift, right? Okay, all right, um, all right, so i threw out the first one, greece, to slide a little bit. Now, now, it’s your turn, let’s, start, throw out some conventional wisdom and let’s beat it up. Yeah, so we had one myth that came up when we chatted previously, and that was the concept that online videos only work for cats or kardashians. Oh, yeah, now people believe that i mean, i think, alright, carrie, what, you’re laughing the hardest. Why is this wrong? Cat or kardashian never hurts, but you don’t need them. Sure, i think thoughtful, authentic, engaging material targeted to your specific audiences, always gonna work okay, can we? Ah, can we say that production value is less important than sincerity? I think that’s bearing out to be more true, i think we went through a trend where everything people wanted very highly produced content, and i feel like we’re sort of moving away from that online. Yeah, okay, sincerity trumps ok, we’re going through these rapidly, so well, i see big jugs of chocolate milk is that somebody was talking about? Yes. Yeah. Looks like they’re setting up a snack because the time is about to eighteen now, uh, snack is good. So you may hear something. My voice cracked against it. So you may hear some food setting food preparation. I mean, we’re in a convention center, you know, it’s gonna happen. But there are these big urns of chocolate milk, man. I mean, who doesn’t love chocolate? Look, once in a while, at least i do. Okay, big. We’re talking gallant multi gallon earns some giant. Yeah, yeah. It’s clear. You can see through. All right. Sorry for the aggression. Alright, more myths let’s do over here. But, melissa, what do you mean? One of this? That i i used to believe fervently. And now, through testing, i know is no longer the case. Is that email has to come from a person to get the highest response rate s o you know, from melissa ryan at x environmental organization rather than just the name x environmental organization or even in some cases you don’t even need the brand you can say in the action is the centre what you’re going to do, so save the polar bears as the sender? This one, this one broke my heart because i used to believe that people very much they wanted personal communication in email and they wanted to feel like they had a relationship with the person who was asking them for money. But it makes sense when you look at what retailers like amazon or doing. Jeff bezos doesn’t email you about persons or shoes that you should buy. You get that email from amazon on and i have found in in testing with with my clients and in my work that that generally, unless your surrogate issue no barack obama or kim kardashian, since we’re using that name often times the brand of the organisation is more powerful than any individual staffer. Okay, excellent, very concise let’s not use the let’s not use came anymore. Really non-profit radio was above that. So cats or fine or some other name, i don’t mind people, but i don’t mind people, but not the kardashians. Okay, what else? Uh, carol, you wanna take one in the middle? Sure, i was brought on to this panel because i’m a former journalist and been in the non-profit world for about a decade now. And one myth that i always hear is journalism is dead, and i think that that is not true. There’s for-profit journalism that is driven by ratings and often goes for the lowest common denominator. But there’s also some really great journalism going on. That mainly online outlets like center for investigative journalism, our center for there’s. Quite a few of them that are really doing a great job. And hiring seasoned professionals. Or the really smart kids out of out of college, to take their time to be thoughtful and do riel reporting. And not just what is going to sell, you know, get the most ratings on tv or or still the most newspapers. So the other thing that we were talking about is our news, our newspapers, debt. And so we were talking a little about communications. Career is also not just communications within non-profits but if you if if communications is your profession right. Ok, newspapers. Are they dead? I just want to say that if i i feel guilty reading a newspaper outside of my home the new york times on a sunday in your own private home is one one thing. But when i really get looks on the ferry, if i have an old fashioned newspaper, so, you know, in a very is this that you’re taking what is this? I take discriminatory fremery take it where i take the ferry across the bay. I work in san francisco and i live thirty miles east, so i have ah, almost on our ride across. So because this is such a tech tech heavy area it’s pretty young analyze the paper it’s pretty, you know, an online community and so on. So they look down on paper, they dio i have to read my newspaper under myself. Do it proudly, proudly right in front of their faces put it, put it between their face and the and their phone is that they’re reading. You just dropped the paper right in there, right in between. All right, all right. Newspapers are not dead. Journalism’s, not dead. What else we got? Well, let’s, try to keep stick to non-profits okay, odds are you know, you might have a lot of communications professionals in your in your audience, but in our listeners probably don’t have, you know, a big portion. So? So we have a lot of little bit. Well, we have a little. Well, a lot of a lot of these journalistic outfits are non-profit are non-profits okay. Okay. All right. Yeah. Good. Another minute came up in discussions was the question that all that matters for web design is mobile. All that matters no way she ought to be multi-channel mean mobile is not unimportant. Certainly. But it’s not it’s, not the end old it’s, not everything, is it? I think this is one where there was some debate. Actually, among among the panelists, i’ve been toe add presentations by tech companies who are pretty openly saying that they are on ly designing for mobile at this point, because most of the usage is more and more of the usage is coming in on mobile instead of dusk up on mobile, we’re speaking more broadly than just the phone were also speaking the tablet on dh you have, you know, large loss to the country for whom mobile is their primary point of access for the internet. So i am going to step out on a limb and say, i think that’s true, you do think it’s true, ideo kari what’s your opinion, it depends on who you’re trying to reach so multi-channel multi platforms, i mean that if you have an older demographic that you’re one of fund-raising from you have to you have to meet them where they are, and that probably is still in there their desktop, okay? And you’re doing policy advocacy from and, you know, i mean, you definitely will have constituencies, whether they be in the hill or some policymakers that will definitely be looking at things on there regular laptop and the crystal be checking their mobile devices as well, but you can’t, nor the stop can’t ignore desktop, right, well and funders to like, if you want to. Reach out, latto, you know. Large foundations, they’re still in a in an office. They’re not always doing the reading and the research on, you know, on their phone, yeah, it’s an interesting example. We were working to redesign it’s, a tool that we have in our website that specifically for hill education and for what kind of education. So it’s tio educate members, the hill on a hill. And so one of the new members of our policy team, he had just come off the hill. And he said, you know, we really need pgs, because when i would take things to my member if there’s going to be effective tool, i need a nice print off because they want to see things in print, which was interesting because we haven’t been thinking that way at all right. Prince of washington. Okay, your your comrades carry, they could ride the subway with you more, more, more paper, the better get some of the recruits. Yes, oh, silicon valley needs to meet washington, d c and beat each other up. Yes, all right. Like what you’re hearing a non-profit radio tony’s got more on youtube, you’ll find clips from a standup comedy, tv spots and exclusive interviews catch guests like seth gordon, craig newmark, the founder of craigslist marquis of eco enterprises, charles best from donors choose dot org’s aria finger do something that worked and they only levine from new york universities heimans center on philantech tony tweets to, he finds the best content from the most knowledgeable, interesting people in and around non-profits to share on his stream. If you have valuable info, he wants to re tweet you during the show. You can join the conversation on twitter using hashtag non-profit radio twitter is an easy way to reach tony he’s at tony martignetti narasimhan t i g e n e t t i remember there’s a g before the end he hosts a podcast for the chronicle of philanthropy fund-raising fundamentals is a short monthly show devoted to getting over your fund-raising hartals just like non-profit radio, toni talks to leading thinkers, experts and cool people with great ideas. As one fan said, tony picks their brains and i don’t have to leave my office fund-raising fundamentals was recently dubbed the most helpful non-profit podcast you have ever heard, you can also join the conversation on facebook, where you can ask questions before or after the show. The guests were there, too. Get insider show alerts by email, tony tells you who’s on each week and always includes link so that you can contact guess directly. To sign up, visit the facebook page for tony martignetti dot com. I’m peter shankman, author of zombie loyalists. And you’re listening to tony martignetti non-profit radio. Big non-profit ideas for the other ninety five percent. Dahna all right, we got more minutes. We got plenty of time together. What? What other myths are out there? Anybody? Melissa, you suggested a myth lately, i can suggest another one. Another myth i have is about crowdfunding. People think that if you build a web page, the money will just come in on one of the biggest misconceptions that i see about crowdfunding. Is that it’s not you. Put up a web page, and money comes in there’s actually, a lot of communications work and offline outreach and work that goes into a crowdfunding campaign. So for non-profits that air considering doing it, which i think it’s a good tool, you really have to think of it. Not just azan. Internet tool, not just as a fundraising tool. It is a combination of all your best assets to your goal. I love that you mentioned off line there’s a lot of back channel work that goes into, you know, it’s been several days that we have a donation. Could you please help us out? You you know, you. I mean, this is a targeted either phone call or e mail you’ve been loyal. We noticed you haven’t given to. This campaign could you help boost us? We’re in a molise. Where? In the doldrums here. Exactly. And i would like that goes on. Yeah. And i would say if you don’t know who your first twenty thunders, are that air goingto get onto your the site and donate your you’re not ready to do a crowdfunding campaign yet nobody wants to give to that xero level that and when the bar is that there is no bar is just an empty shell. Where the borrower toby it’s. Very hard to get the first people. You’ve got to recruit them back. Channel. Yeah, that is a common mistake. Anything else about you want to add carrier bird around just around crowdfunding? Anything more about that? That miss? Well, i think we’re good and they will come. Myth. Well, this was related. I think this was melissa’s myth. And that was that. What? You? What you say is what people will hear. What you say is what people will hear. That sametz at least that’s what i wrote down in my notes. Well, it’s, no. Does it sound familiar to you? No. Okay. Okay. All right. Well, i mean, it sounds like reality versus perception or your message vs? Yeah, that, yes, the intention of your message versus how it’s received. Well, i think we can agree that that’s not always the same, right. I mean, if it’s not even carefully crafted, buy a communications professionals sometimes leads the misunderstanding, i mean, this is also a great argument for testing messages. Very good. Alright on email on social, then your coms channels. Okay, okay, it wasn’t that one of our myths that small organizations can’t test or don’t test. Yes, well, may be that they don’t test is a fact, i don’t know, but that they can’t. That sounds like a deep myth, right? Absolutely, i don’t know. Is there an e mail provider that doesn’t provide that doesn’t offer those simple ist a b testing, and i mean, can’t we just do it on our own, even if we don’t have? Ah une male vendor. Well, you certainly could look at open rates. I mean, and that will give you mean that will be a least give you a primitive way of doing a be testing. Okay, i mean, i also think it’s ah it’s, a value proposition and it’s a capacity. I think it makes sense for everyone to develop a culture of testing, but whether it makes sense for your organization to test subject lines every time or run multiple tests, if you’re dealing with a list size of a couple of thousand people and that’s maybe get a net you fifty extra dollars, there might be a more valuable way and spending your time maybe it’s, actually just pushing up the draft of another email. S o i think it’s it’s always good to be thinking about testing and things you contest, but that time that you spend setting up a test is time. You’re not spending doing something else, so i think that’s worth weighing when you’re thinking about testing, all right? We got time for another couple of myths. What else we got? Birds got the phone. You you got the device, you know, check out the list. Okay. Well, when the myth that came up it was after the brainstorm was on curiously here, uh, former journalist and as you’re a journalist, is the question of what he should ever seldman podcast don’t know from journalists. Well, thank you, that’s. Very thoughtful. You sound like a journalist. Oh, thank you. I take that as a compliment. I admire journalist, but yeah, i don’t know, but you don’t. Okay. Well, the question was, do you ever say because there is the professionalism that you should never say? No comment to a journalist? I really never say no comment to a journalist. All right, what is that? Is that fact or fiction? We busted busting that myth. Carry going? You’re the former journalist. I know a lot of people that that live by that mantra. But i do think that there’s other ways of meaning. No comment and not saying it as in well, we’re not the best people to talk to on that subject, but but we can definitely put you in touch with people that could give you a statement on that. So it’s pivoting instead of no comment. Ok, but you gotta know, i learned a really good phrase from a coms director i work with, which was i cannot be a good source for you. Let me refer you to someone who can, which i think is a little friendlier than no comment and keeps the conversation going. Okay, okay, you know what? If we’re in a crisis situation, i mean, you’re, you’re, uh, you know, we’re talking worst case now. You’re the organization’s reputation is on the line for some reason, you’re in the headlines and it’s not a good it’s, not a good headline, and you’re the i mean, you’re really the only source because it’s, your organization is talking to and you’re the ceo of the communications director and you mistakenly picked up the phone because you had read the headline yet, i guess. Now what do you do? You can’t you can’t you can’t give it to somebody else, you’re the you’re the person. Well, you you say, i need to get right back to you, and then you come up with a a good response, especially if it’s about it’s, about your organization on when you’re not under pressure against the right, but you always have, you know, at least fifteen, thirty minutes unless they’re completely on deadline right now to take to get your statement, right? Okay, you know, i think you never want to take a press call cold. I mean, even if they’re on a tight deadline, just like, can i get back to you in five to ten minutes? Me? Because people are on the go on dh. Just give yourself five. Minutes. I kind of think through what you want to say. Okay? Never taken. Never take it cold. That sounds like good advice. All right, we got room for one more who’s. Got another one. Now we’re going to burn because he’s got the phone. But, ladies, you have you are you thinking of something? Go ahead. I mean, one more, i think is the idea that something has to go viral to be successful. This when i feel like if you’re in communications and urine digital, you fight against all the time. And to me, the most important thing is that the audience that you are talking to seize it not everything has to get ten million views to be successful. Okay, your message could still be heard. Depends who’s hearing it, right? I mean, and who? You want to hear it, who you need to hear it. And what the goals of that communication are too mean. If you have a specific goal in a specific audience that’s going to help you reach that goal. It’s successful if you if you move the needle on with that with that communication and even if only reached one hundred fifty people exactly. Or that the decision maker and everybody around them. Okay, lots of nods. All right, this was fun, you know? Alright, i like this a light one, but we got a lot out. We covered at least ten of these things. At least ten myths, all right? And the panel has been seeded closest to me. Melissa ryan, director of client services at trilogy interactive. And karen birdseye, us campaigner for wild aid. And burt edwards, director of media and web strategy at interaction. 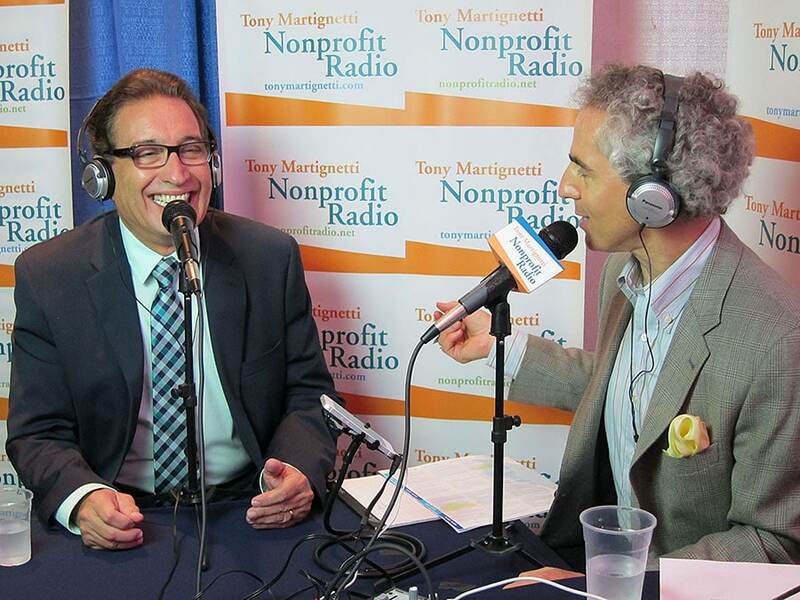 And this is tony martignetti non-profit radio coverage of sixteen ntc non-profit technology conference. Thank you for being with us next week. It’ll be september and it’ll be a good show. If you missed any part of today’s show, i beseech you, find it on tony martignetti dot com responsive by pursuing online tools for small and midsize non-profits data driven and technology enabled pursuant dot com and by we be spelling super cool spelling bee fundraisers. Our creative producers claire meyerhoff sam liebowitz is the line producer. Gavin dollars are am and fm outreach director shows social media is by susan chavez on our music is by scott stein thank you, scotty be with me next week for non-profit radio. Big non-profit ideas for the other ninety five percent. Go out and be great. What’s not to love about non-profit radio tony gets the best guests check this out from seth godin this’s the first revolution since tv nineteen fifty and henry ford nineteen twenty it’s the revolution of our lifetime here’s a smart, simple idea from craigslist founder craig newmark yeah insights, orn presentation or anything? People don’t really need the fancy stuff they need something which is simple and fast. When’s the best time to post on facebook facebook’s andrew noise nose at traffic is at an all time hyre on nine a m or eight pm so that’s when you should be posting your most meaningful post here’s aria finger ceo of do something dot or ge young people are not going to be involved in social change if it’s boring and they don’t see the impact of what they’re doing so you got to make it fun and applicable to these young people look so otherwise a fifteen and sixteen year old they have better things to dio they have xbox, they have tv, they have their cell phones. Me dar is the founder of idealist took two or three years for foundation staff, sort of dane toe add an email address card. It was like it was phone. This email thing is fired-up that’s why should i give it away? Charles best founded donors choose dot or ge somehow they’ve gotten in touch kind of off line as it were on dh and no two exchanges of brownies and visits and physical gift. Mark echo is the founder and ceo of eco enterprises. You may be wearing his hoodies and shirts. Tony talked to him. Yeah, you know, i just i’m a big believer that’s, not what you make in life. It zoho, you know, tell you make people feel this is public radio host majora carter. Innovation is in the power of understanding that you don’t just put money on a situation expected to hell. You put money in a situation and invested and expected to grow and savvy advice for success from eric sacristan. What separates those who achieve from those who do not is in direct proportion to one’s ability to ask others for help. The smartest experts and leading thinkers air on tony martignetti non-profit radio big non-profit ideas for the other ninety five percent.